Bella Vista North in Aventura is a mid-rise building standing seven stories within the larger condo and townhome community of Porto Vita. 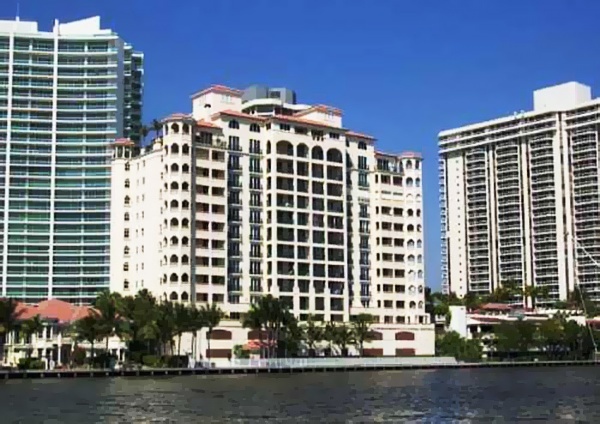 The building is located next to the water, offering vistas of the Intracoastal as well as the South Florida sunrise and sunset and the city skyline. The Aventura condos for sale within Bella Vista North offer 3,470 to 3,800 square feet of living area with the choice of three or four bedrooms. Residents of the Bella Vista North condo can make use of many of the Porto Vita amenities which include the Villa Grande Club where members can experience epicurean dining or revitalize at the European style spa. Residents can also request massages, facials and a collection of personal services. Fitness classes which include aerobics and spinning as well as a modern fitness center are also part of the Bella Vista North experience. Bella Vista is just east of Aventura Mall, one of the largest shopping centers in South Florida which features various restaurants such as Cheesecake Factory and an IMAX movie theater. Next door is Turnberry Isle and the city of Aventura is near Hallandale Beach, Hollywood in Broward County, and Sunny Isles Beach. Miami Beach is just a couple of minutes south of Bella Vista and Aventura along with the affluent village of Bal Harbour.